Some of the following brands are ones that I’m sure we all love, but I’ve also found some brands that are hidden gems! I cannot say enough good things about this brand. Zella is an activewear brand exclusively sold at Nordstrom and a majority of their clothes have a feminine look to them. My sweatshirt in these pictures is actually by Zella. 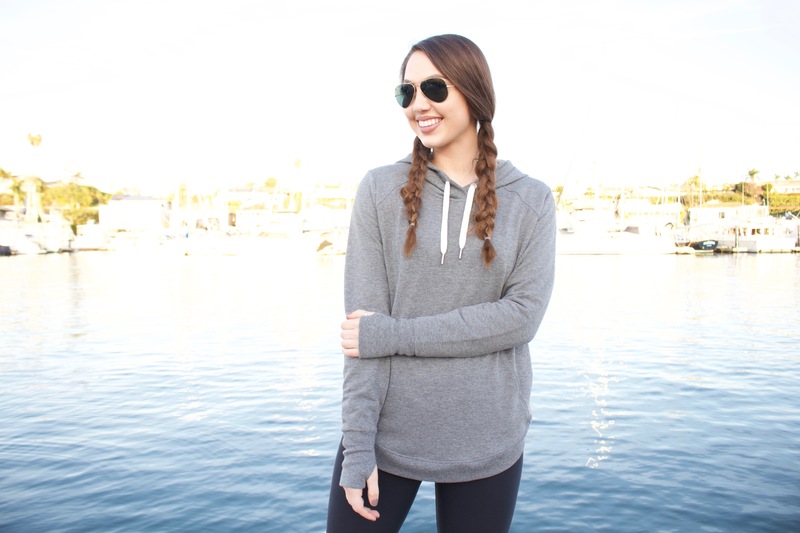 While plain at first glance, you’ll notice that there are some details that sets it apart, such as how the front and back of the sweatshirt meet on the sides and the sleek pockets. These subtle differences are why I LOVE Zella! Okay, I’m pretty sure we all love this brand, but I had to include it just in case someone has never heard of it. Since this brand is on the pricier side, I don’t own a ton of their pieces, but I LOVE the ones I do own. If you’re figuring out which workout items to splurge on, I highly recommend purchasing workout jackets from Lululemon! They are such great quality and go with everything. I also love their workout shorts. Of course, I just had to include Nike! I’ve been a fan of Nike workout clothes for as long as I can remember. However, I tend to only buy my basic workout pieces from the brand, such as black cropped or long yoga pants. Then, I pair them with more fun and feminine pieces from the other brands mentioned. What I love about Nike is that I always know what to expect! If you catch me purchasing items from Fabletics, it’s definitely their Salar Capri pants! I own quite a few pairs of them in various prints and love the fit. What’s cool about Fabletics is that you can join as a VIP member (you don’t have to) and by doing so, you can get 40-50% off retail prices and earn points for free gear! You can read more about it here. This is a more recent find! I’ve always shopped at Anthro for clothes, but I just discovered how cute their workout clothes are! They are definitely some of the most unique pieces I’ve seen. 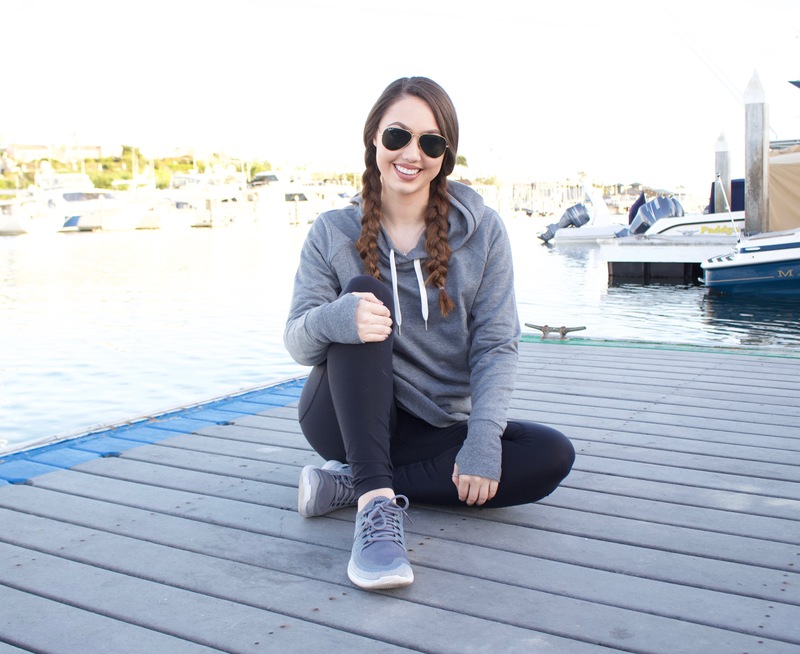 If you’re wanting to get activewear pieces that few people will have, I highly recommend checking out what they offer.